Next Post For you Finn! 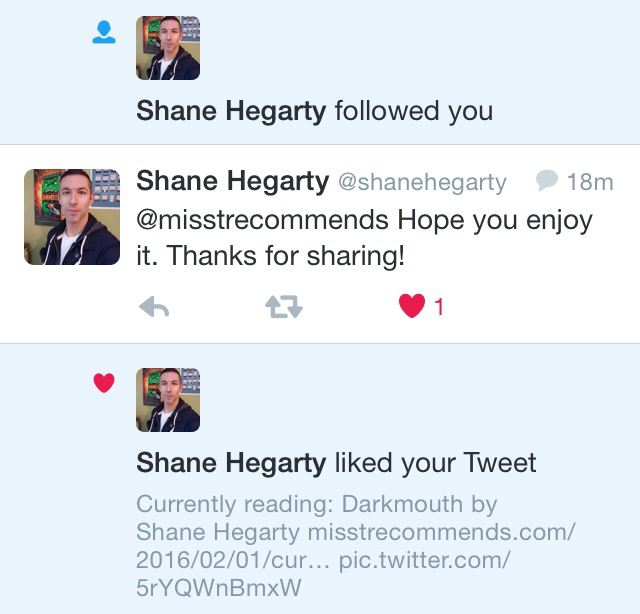 Shane Hegarty, the author of Darkmouth, just shared my blog about his book and started following me on Twitter! Just so exciting!